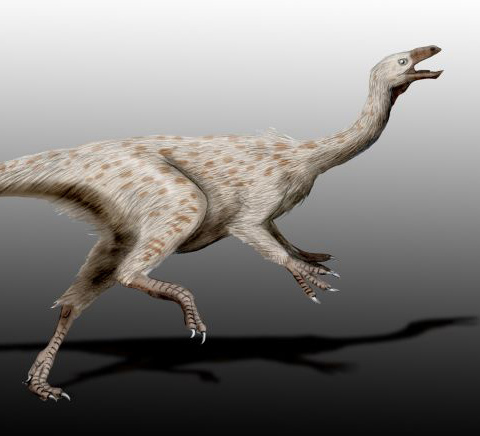 Paleontologists sifting through fossils in an Alaska museum have discovered evidence of a dinosaur never before found in the near-Arctic — a type of large, leggy theropod called an ornithomimosaur. The newly discovered specimen in Alaska likely resembled this species, Beishanlong grandis, from modern-day China. The newfound dino was a tall, largely toothless omnivore with strong legs capable of running up to 40 kilometers an hour, they note. And although evidence of ornithomimosaurs has been found on most of the modern continents, none has ever been detected in Alaska before. The discovery was made at the University of Alaska Museum of the North in Anchorage, where earth science curator Pat Druckenmiller and Florida State University paleontologist Gregory Erickson were plying through the museum’s collections to document its holdings. 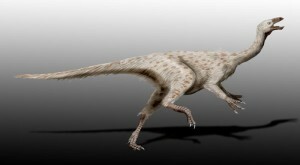 Analysis of the fossil’s bone tissue showed that it was fully developed at the time of death, which ruled out the juvenile tyrannosaur hypothesis. Further study secured its ranks among the bird-mimics. What a dumb name. You could tell they did all they could to not name it Struthiomimus. Why do they have to make a name even harder to learn?